plant based detroit. 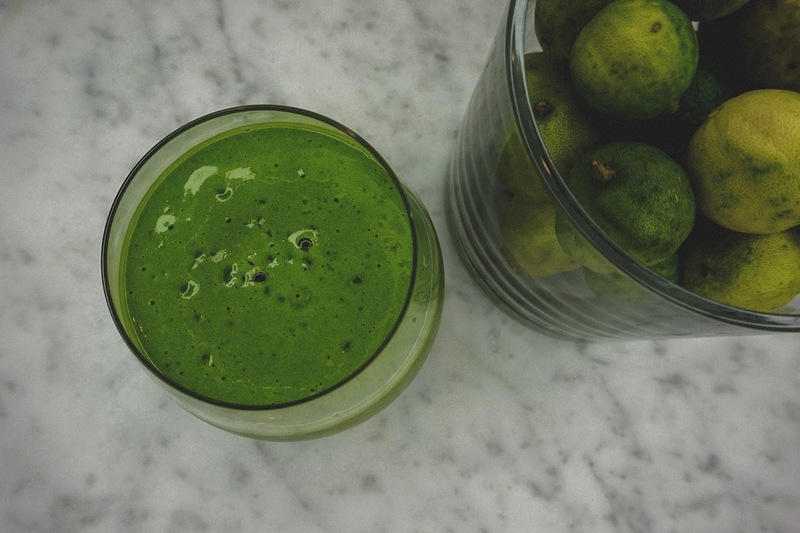 : EVERYDAY GREEN SMOOTHIE. I've followed nutritionist Kimberly Synder for a long time (check out her books, they're amazing! ), and a big part of her philosophy has to do with starting every day with a large green smoothie to help your body "continuously cleanse". I've tweaked her classic Glowing Green Smoothie to suit my tastebuds, and I make it my goal to have about 30 oz of some variation of this smoothie every morning. A time saving tip is to making a big batch in advance, and portion it out for a few days. This smoothie will last about 3 days in the refrigerator. I store mine in Ball jars to try and avoid as much oxidation as possible. Feel free to mix up the fresh herbs and fruit! Fresh mint is great in smoothies, or try swapping mango for the pineapple. The idea is that ratio should stay 70% greens, 30% fruit, but by all means, get creative! Place all items in your high powered blender (I use a Blendtec Total Blender), starting from softest to hardest (listed in this order above), and process on the 'smoothie' setting (about 45 seconds on high speed). If you don't have a high power blender, I'd recommend blending in steps, first the liquids and greens until smooth, then add the remaining ingredients.